Telemedicine rooms: 2 rooms located in the middle pod on both second and third floors. 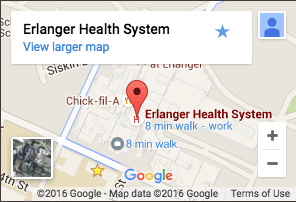 Patient Privacy Practices | Disclaimer | © 2018 Erlanger Health System. All rights reserved.